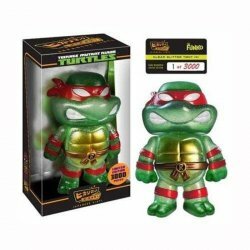 Funko Hikari Japanese Vinyl Sofubi hand-made and crafted clear glitter RAPHAEL figure, of the Teenage Mutant Ninja Turtles TMNT. Funko Premium Quality. Limited Edition of 3000. 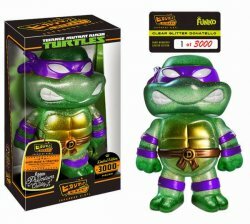 This Turtle Hikari is limited to only 3000 pieces worldwide. We have very few pieces available - first come first served!